Click on 'small triangle' on top right of page and click on 'Settings'. Under 'General Account Settings', click on 'Download a copy of your facebook data'. Click on 'Start my Archive' to start downloading copy of your facebook data. Go to facebook delete account page. 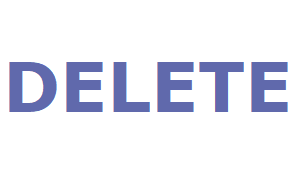 Click on 'Delete My Account' to request deletion of your account. Account deletion is delayed for few days after request. If you login to your facebook account within few days, your account deletion request will be cancelled. So make sure not to re-login if you want to Permanently delete account. It can take up to 90 days to completely delete your account and information. Your information will not be accessible on facebook during that time. You can refer Facebook help page for more information.